We do not guarantee that our site, or any content on it, will be free from bugs, viruses, errors or omissions and your use of this site and reliance on its contents is entirely at your own risk. You are responsible for configuring your information technology, computer programs and platform in order to access our site. You should use your own virus protection software. You must not attempt to gain unauthorised access to our website, the server on which our site is stored or any server, computer or database connected with our website. You may link to our website, provided you do so in a way that is fair and legal and does not damage our reputation or take advantage of it. You must not establish a link in such a way as to suggest any form of association, approval or endorsement on our part where none exists. 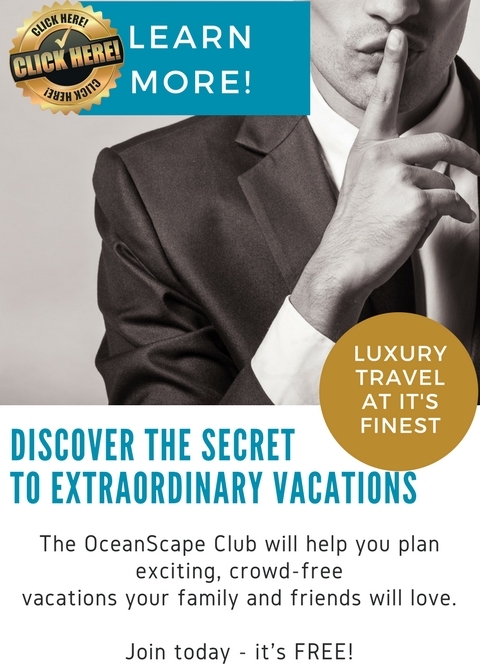 The oceanscapeyachts.com and oceanscapeclub.com domains are provided by OceanScape Yachts Ltd. Our site is intended to provide general information and guidance about our services and marketing information. Owing to OceanScape Yachts’ policy of continuous development, we may change specifications, prices and site content at any time. In accessing these web pages, you agree that any downloading of content is for personal, non-commercial reference only. No material or any part of this website may be copied, reproduced or transmitted in any form or by any means, electronic, mechanical, photocopying, recording or otherwise, without prior permission of OceanScape Yachts. Other than the content you own, under these Terms, OceanScape Yachts Ltd and/or its licensors own all the intellectual property rights and materials contained in this Website. Certain areas of this Website are restricted from being access by you and OceanScape Yachts Ltd may further restrict access by you to any areas of this Website, at any time, in absolute discretion. Any user ID and password you may have for this Website are confidential and you must maintain confidentiality as well. In these Website Standard Terms and Conditions, “Your Content” shall mean any audio, video text, images or other material you choose to display on this Website. By displaying Your Content, you grant OceanScape Yachts Ltd a non-exclusive, worldwide irrevocable, sub licensable license to use, reproduce, adapt, publish, translate and distribute it in any and all media. Your Content must be your own and must not be invading any third-party’s rights. OceanScape Yachts Ltd reserves the right to remove any of Your Content from this Website at any time without notice. This Website is provided “as is,” with all faults, and OceanScape Yachts Ltd express no representations or warranties, of any kind related to this Website or the materials contained on this Website. Also, nothing contained on this Website shall be interpreted as advising you. In no event shall OceanScape Yachts Ltd, nor any of its officers, directors and employees, shall be held liable for anything arising out of or in any way connected with your use of this Website whether such liability is under contract. OceanScape Yachts Ltd, including its officers, directors and employees shall not be held liable for any indirect, consequential or special liability arising out of or in any way related to your use of this Website. You hereby indemnify to the fullest extent OceanScape Yachts Ltd from and against any and/or all liabilities, costs, demands, causes of action, damages and expenses arising in any way related to your breach of any of the provisions of these Terms. OceanScape Yachts Ltd is permitted to revise these Terms at any time as it sees fit, and by using this Website you are expected to review these Terms on a regular basis. The OceanScape Yachts Ltd is allowed to assign, transfer, and subcontract its rights and/or obligations under these Terms without any notification. However, you are not allowed to assign, transfer, or subcontract any of your rights and/or obligations under these Terms. These Terms constitute the entire agreement between OceanScape Yachts Ltd and you in relation to your use of this Website, and supersede all prior agreements and understandings. These Terms will be governed by and interpreted in accordance with the laws of the State of Ontario CAN, and you submit to the non-exclusive jurisdiction of the state and federal courts located in Ontario CAN for the resolution of any disputes. What is and isn’t included in your yacht charter. Below is a general guide to the types of contracts, terms and conditions used for luxury yacht charters including charters – namely ‘all inclusive’ and ‘plus expenses’. Most yachts regardless of size will usually operate on a ‘plus expenses’ basis. Yachts quoted as ‘plus expenses’ means that in addition to the base charter fee, 25-35% of the charter fee will be collected as an Advanced Provisioning Allowance for expenses. Provisioning and preparation is then done by the crew based upon your specific preferences. Food and beverage provisions are custom ordered, charged at cost price. Fuel is also charged on consumption. The benefit of paying for expenses additionally is that you have more control over your costs and you only pay for what is ordered. The ‘Advanced Provisioning Allowance’ (APA): The Advanced Provisioning Allowance is collected with your final payment and is forwarded onto the Captain in order to prepare for your charter. The APA is estimated at between 20 and 35% of the charter fee depending on the yacht and the charter location. The final expenses may be more or less depending on your individual requirements. The captain will be responsible for the accounting of your expenses; he will advise you periodically as to the disbursement of the APA and will provide receipts at the end of the charter. Should you spend more than your estimated expense allowance, say by ordering unusually expensive items, staying in expensive ports or doing excessive cruising, additional payment will be required during your charter. Conversely, unspent APA will be refunded to you at the end. ‘Plus, expenses’ terms are also known as WMT (Western Mediterranean Terms) and are often referred to as “MYBA terms” (Mediterranean Yacht Brokers Association). Under MYBA terms the charter fee includes charter of the yacht and equipment, crew wages and food, ship’s laundry, basic operating consumables, and insurance of the yacht for marine risk, third party claims, and the crew for employer’s liability insurance. The charterer will be charged, at cost, for all other expenses. These expenses include but are not limited to food and beverages for the charter guests, fuel for the yacht and auxiliary craft, dockage, VAT if applicable, taxes, harbour fees, communications, guest laundry, shore-side electricity and water, onshore transfers and tours and anything else not specifically included in the charter fee. Yachts chartering in the Eastern Mediterranean will usually use the MYBA contract or EMT (Eastern Mediterranean Terms). The terms quoted can differ depending on the type of yacht (motor yacht or sailing yacht) and will also differ depending on the country. Under EMT or Turkish terms, rates can include costs such as fuel for four hours’ cruising per day, local cruising taxes and local port fees. These yachts also tend to offer half or a full board menu options. A deposit of 30% of the base charter price is required at the time of booking to secure the yacht. The remaining 70% and the Advanced Provisioning Allowance is payable 30 days prior to your departure date. All payments and balances will be shown in your yacht vacation account with OceanScape Yachts. OceanScape Yachts only uses trusted and recognised charter yachts and charter contracts. Whichever agreement is used, it will clearly specify the particulars of the charter, what is included and excluded in the charter fee, payment schedules, cancellation policies and it will define the rights and obligations of all parties in contingencies. Although the charter agreement might seem daunting at first, it is relatively simple especially considering you are taking charge of someone’s multi-million-dollar investment. Your OceanScape Ambassador will discuss the specific contract terms and conditions, the inclusions and expenses with you.